The brilliant follow-up to David Walliams' bestseller The World's Worst Children! Ten more stories about a brand new gang of hilariously horrible kids from everyone's favourite children's author. This glorious collection of ten stories from the master himself, David Walliams, will make you snort with laughter and thank your lucky stars that you don't know anyone like Gruesome Griselda or Fussy Frankie in real life. It also features a special appearance from fan-favourite Raj! 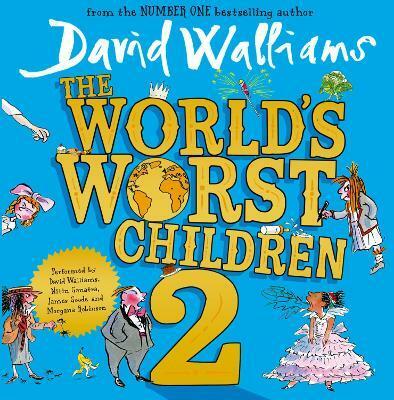 The World's Worst Children 2 is a side-splitting companion to David's blockbuster hit, The World's Worst Children, perfect for fans aged 9 and up.